The Pantone Color of the Year, Living Coral, is helping to bring a fabulous new year of design to life. Subtlety is falling by the wayside as bright, happy shades join coral, ushering in a whole palette of brilliant hues including Mango Mojito, Poppy Red, Iris Blue, and Primrose Yellow. It doesn’t take a lot of these bold beauties, all found in nature, to make a statement. In fact, pops of colors such as these are leading this year’s hottest trends! 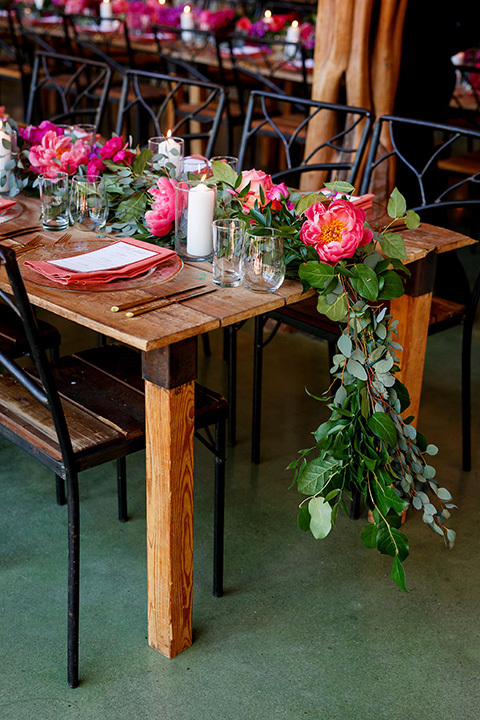 Looking at emerging movements in 2019 design, event planner and TV personality Colin Cowie anticipates “the return to deep colors like emerald and aubergine, as well as rising popularity for florals including dahlias and ranunculus.” The faded palettes commonly associated with rustic chic and vintage themes are taking their leave for the time being. Drama is in. 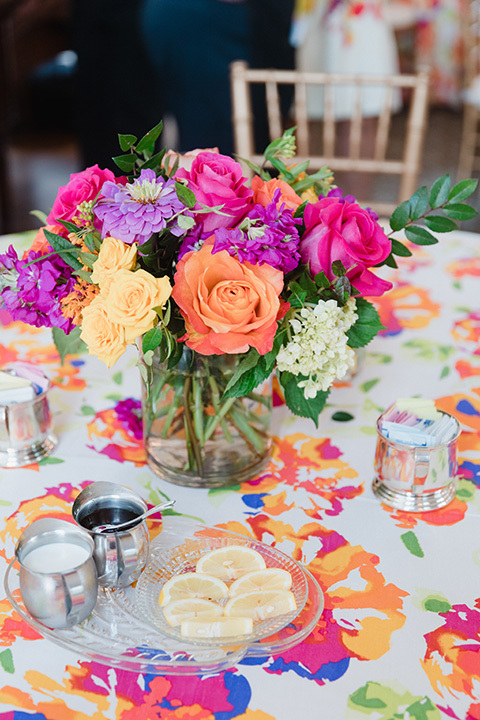 Emily Sullivan of Emily Sullivan Events expects “to see brighter colors making their way back,” as pops of color mixed with neutral tones. There is still a place for pale colors like champagne, ivory, white, periwinkle and sage, but they will serve as a base for the more intense shades. There are many possibilities when working pops of color into design. Consider the elements that contribute to the overall look. A pale linen, muted china and clear crystal can act as the perfect soft foundation for a bold centerpiece or accessories. Think outside of the box – thanks in part to the elevation of Living Coral, oranges and yellows are expected to be in great demand this year. If 2019 is any indication, the future is definitely bright. 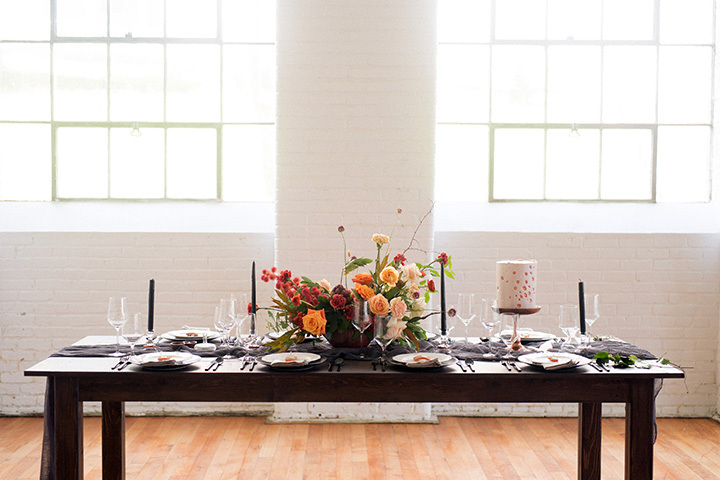 What fun it will be to see how pops of color find their way into this year’s wedding styles.